Despite everything that Saleens have achieved in Europe recently, it will be another one altogether making the news during the first two weeks of June. Jeff Giangrande’s ACEMCO S7R was shaken down at Homestead on Tuesday of this week, and is now on its way to France, for the American team’s second appearance at Le Mans, and the first with the S7R. Tuesday’s test was a three-hour shakedown, to ensure any bugs were out of the systems, the car’s previous test having been a thorough one at the same Florida track nearly a month ago, with another at Sebring prior to that. 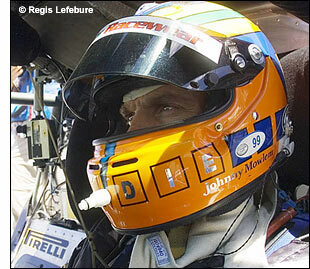 Johnny Mowlem drove the car on both recent occasions and is cautiously optimistic about Le Mans. “Jeff has entrusted Jim Bell with the development of the S7R, and he, along with the rest of the ACEMCO crew, has been working all hours to improve a few key areas of the car. Although towards the end of last season we had the Prodrive Aston Martins pretty much covered and were able to take the fight to the factory Corvettes, Le Mans is another kettle of fish entirely. We were under no illusions that we needed to find significant improvements in a number of areas to ensure that we can continue that fight for victory in France. From the testing we've done, my instinct tells me that we have made some good steps forward, but only time will tell. “I’ll be doing all the driving on the morning of the test day (June 4),” continues Johnny Mowlem, “because Terry (Borcheller) and Christian (Fittipaldi) will be traveling to Europe from the Grand Am race at Watkins Glen. I was going to be doing the same myself, but managed to reach an arrangement that allows me to give the Le Mans test my full attention." The team is expecting Terry Borcheller to arrive at the track at about 12.30 and Le Mans rookie Christian Fittipaldi by mid-afternoon, to get his 10 laps in. Other drivers will also be making their way from New York state, for the Le Mans test day - Jorg Bergmeister, Nic Jonsson, Tracy Krohn and Patrick Long, to name a few. 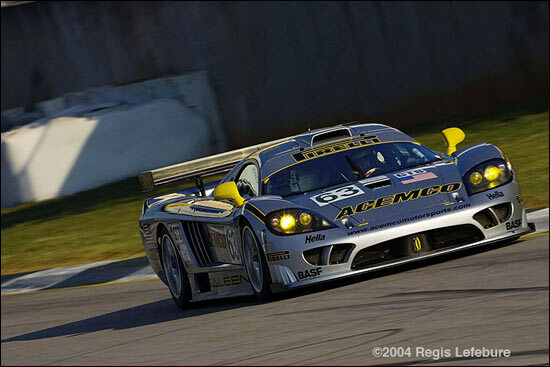 The ACEMCO Saleen (yet to race this year of course) is likely to be quick enough at Le Mans, as it takes on its Corvette and Aston Martin rivals – plus three Ferrari 550s and the Lamborghini. 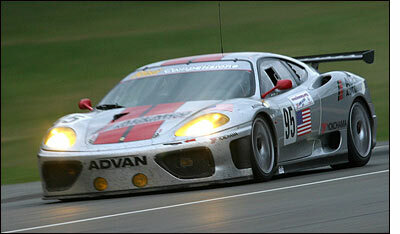 It has a very strong driver squad, as ACEMCO did in 2003, when Giangrande’s Ferrari 360 led the GT class, again with Mowlem on the strength. It’s going to be another enthralling GT1 race this year – and the class totals 33% more cars than a year ago (12 vs. nine).